This pretty red-breast is perking up our winter. Can you hear his song? A wintry story with a charming little hero. You’ll want to cup him in your hands and warm him up. Evan and Hannah have found a robin chirping loudly in the snow. The little bird is stuck! It’s freezing cold – the race is on to give him a happy ending. Can the RSPCA save this snowy robin and bring a Christmas surprise? 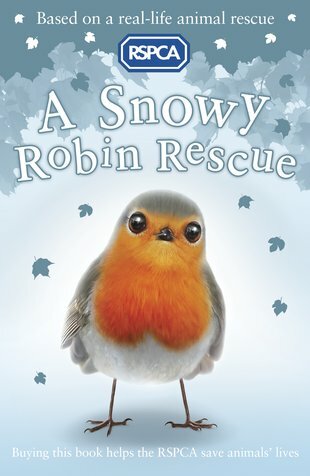 Ever so cute, based on a real-life animal rescue and with a lovely festive message. Warm your heart. Find out all about the fantastic new RSPCA fiction series, plus animal facts and behind-the-scenes extras.